All information about more than 2000 walks in 2018 in Belgium. 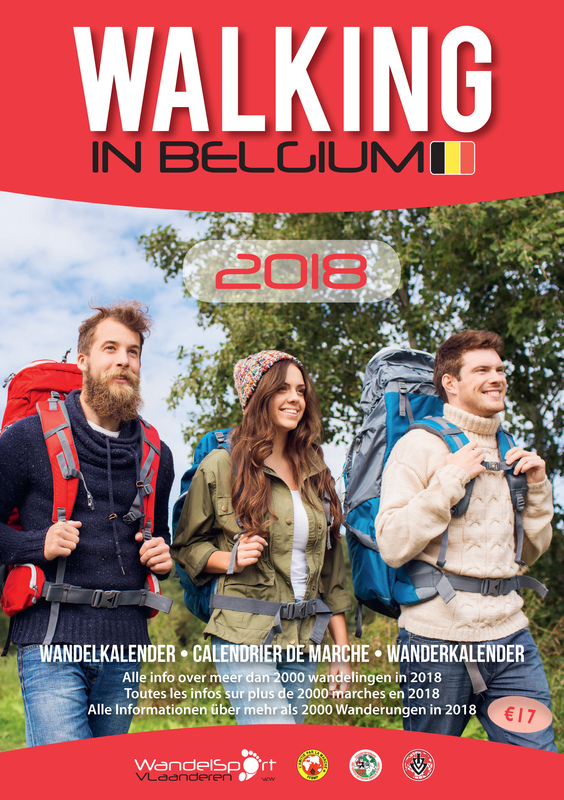 In the walking calendar "Walking in Belgium" you'll find everything you need for a nice walk in your neighborhood or further away! About 2000 hikes in Flanders and Wallonia are collected in this guide. This calendar is the perfect resource for any active hiker. You can read all about the trail, the walking distances, starting hours, information on accessibility by public transport and much more.